A couple of weeks ago I harvested two supers from it. 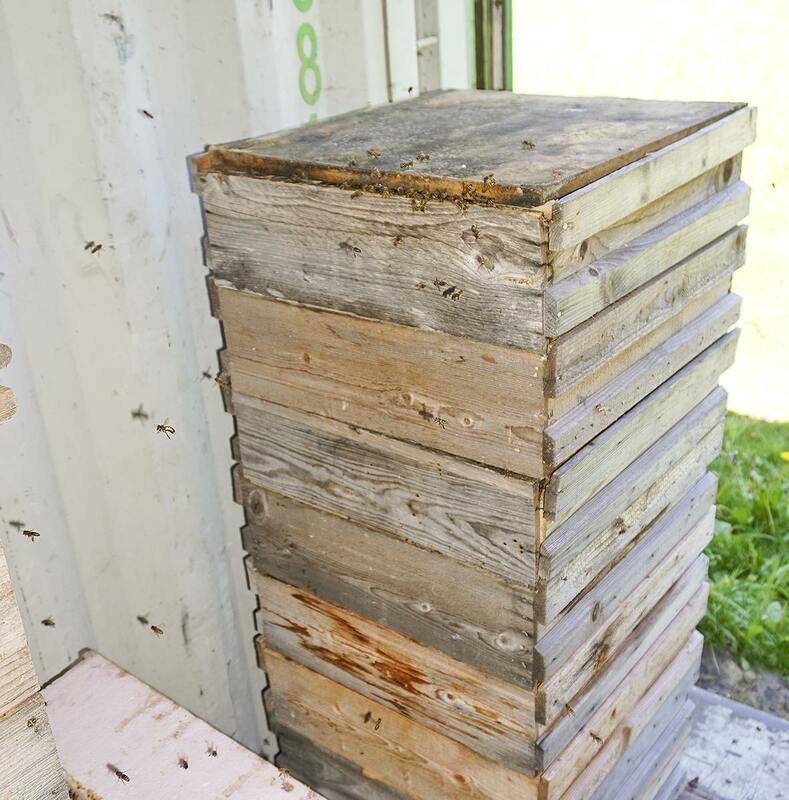 It will winter with plenty of honey in the three square shallow boxes (corresponding to three mediums). The two supers were put on an escape board. Late that day I came back with a bee blower and blew the few remaining bees. Most of my apiaries are not far away from the home yard. 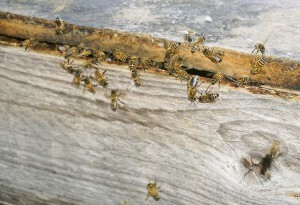 In my home yard I have up till now have hade one swarming attempt, which I stopped with rain from my garden hose. 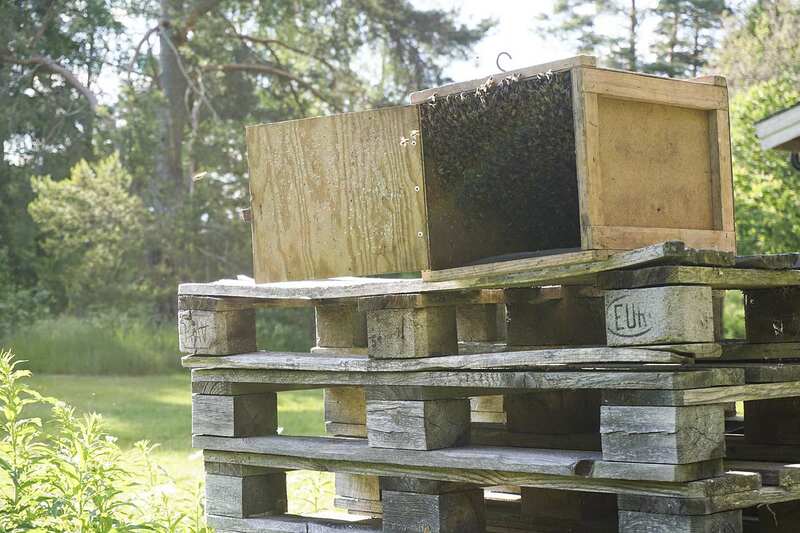 During this week I’ve had two swarms flying into my home yard from my neighbor beekeeper less than half a mile away (half a km). 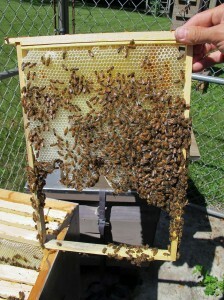 He has Elgon bees as well, but a smaller frame size than me, which I think contribute to increase swarming. The first one flew to the pile of boxes with crap combs, but couldn’t get in. 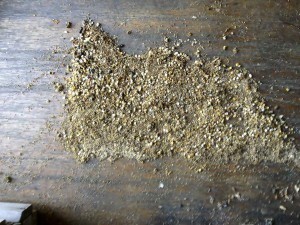 http://www.elgon.es/diary/?p=722 I opened up after discussing with them. They behave well, even when I pass very close to them getting things in the container. The pile sits in the opening of the container and the door is always open. 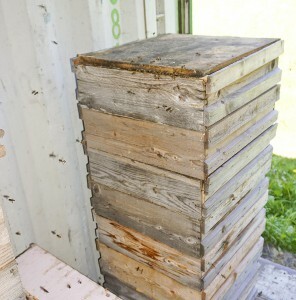 After a couple of weeks I will move those boxes where the bees reside to another yard. 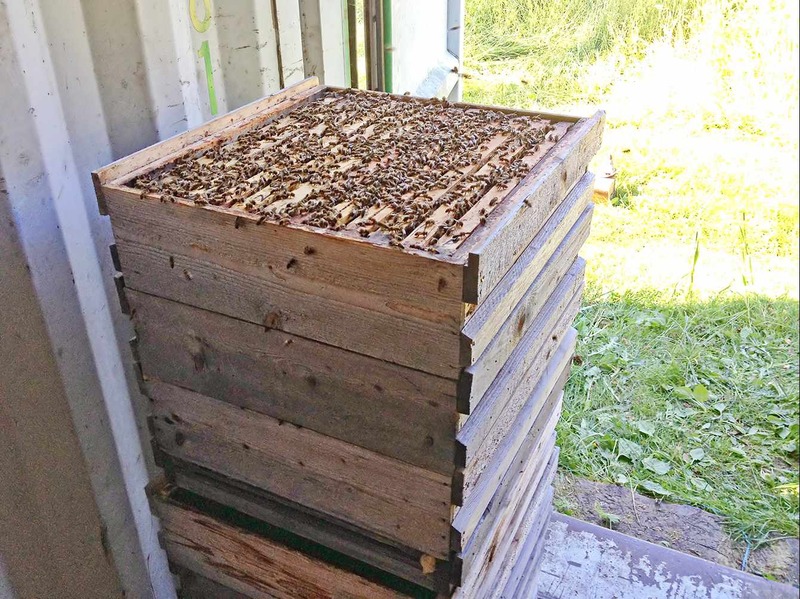 The bees liked the box better than the pallets. 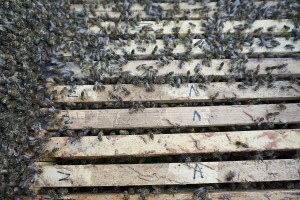 A couple of days ago another swarm flew into my garden and landed on a pile of pallets. Another bad place. 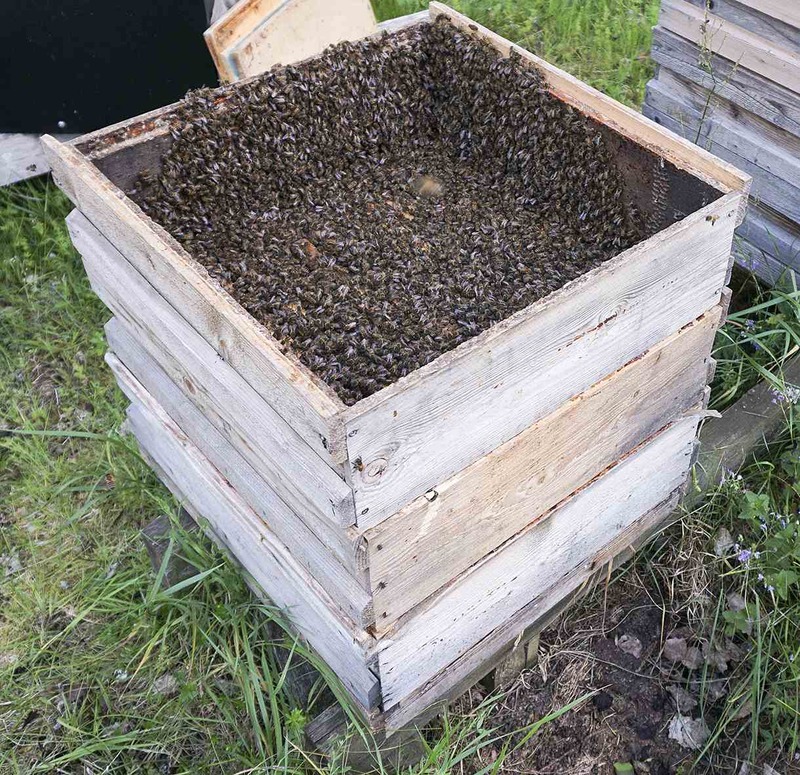 With the help of may hand I scooped most of the bees into a swarm box and put it on top of the pallet pile and hope the bees would like the box better than the pallet pile. 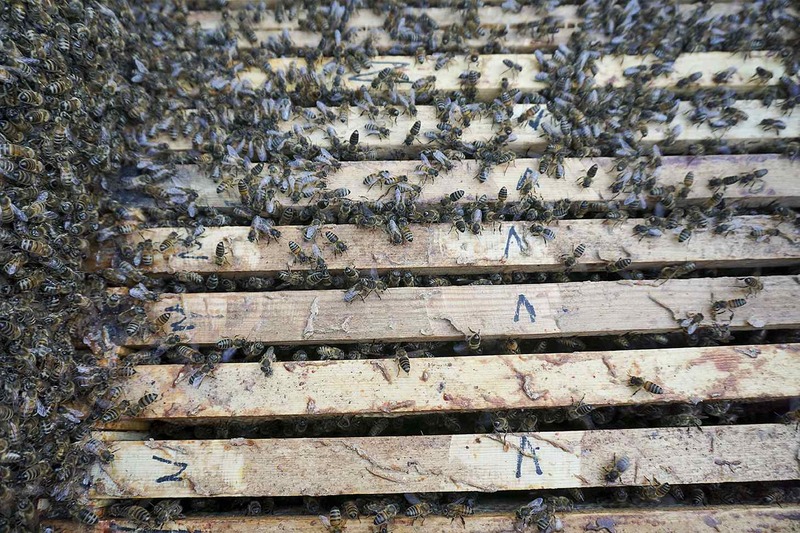 I hived the swarm from above, easy and quick. And they did. In the evening all of the bees were sitting still in the box. I hived the bees in two square shallow boxes. Corresponds to two 10-frame mediums. Now they are doing fine. Yesterday I got a call from a church in the north part of my little town. 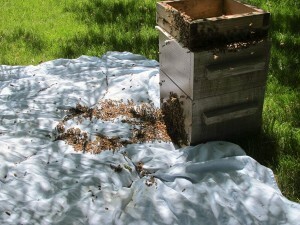 A big swarm had landed the day before. They wanted me to remove it. It must be Abbey bees I concluded, Buckfasts. And they behaved well. 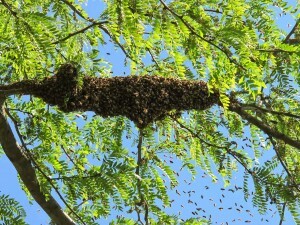 A biig swarm. 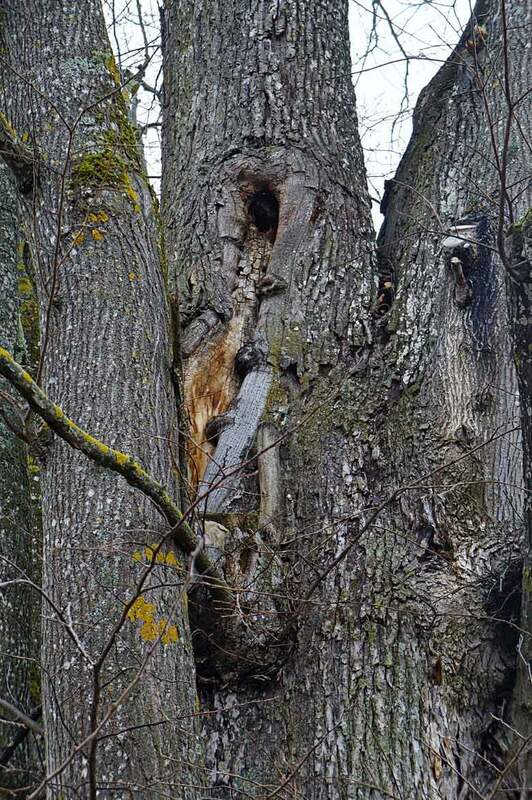 Probably from my friend Karlsson about 1 mile away over the fields. Elgons too. 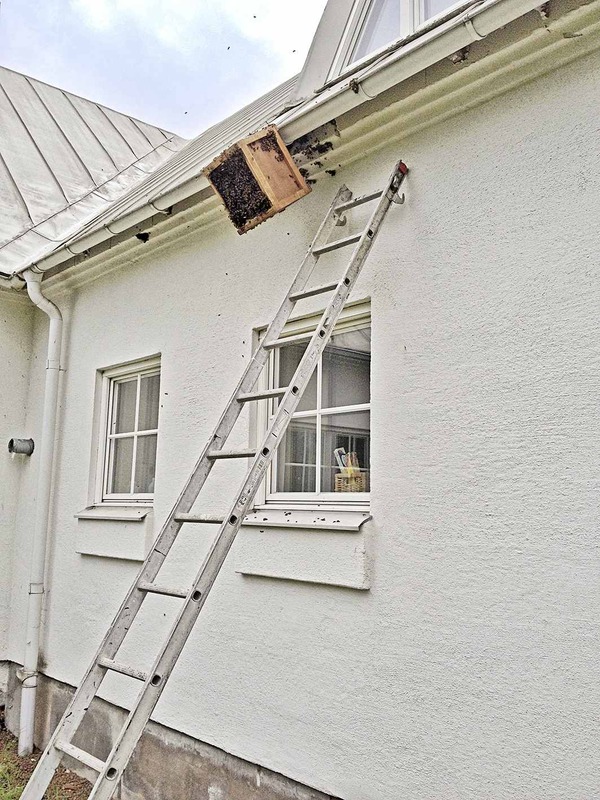 I climbed the ladder, held the box in my left hand and scooped again most of the bees with my right hand into the box, and hanged it on the gutter, hoping that the rest of the bees would gather into the box through the excluder. 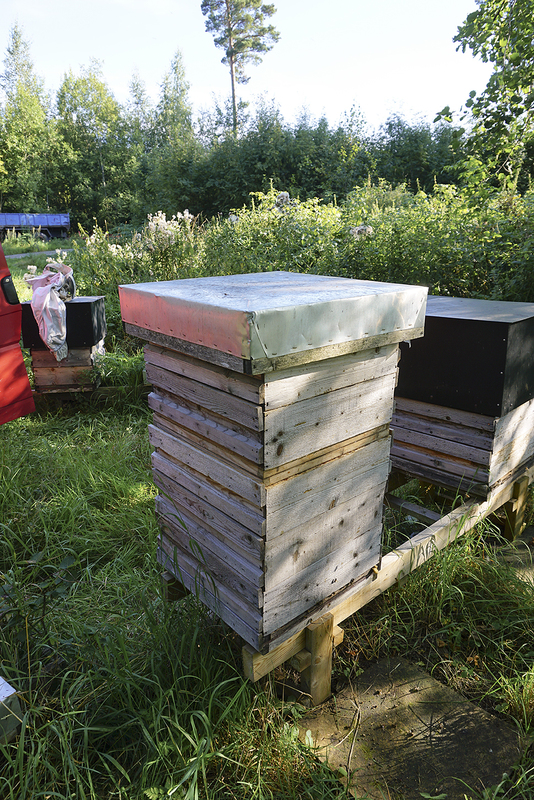 In the evening the bees were inside the box ready for transport to their new home. In the evening all bees were inside the box with a few sitting outside on it. I transported them to on of my yards and hived them. 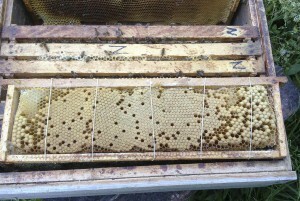 Three nice colonies in less than a week! 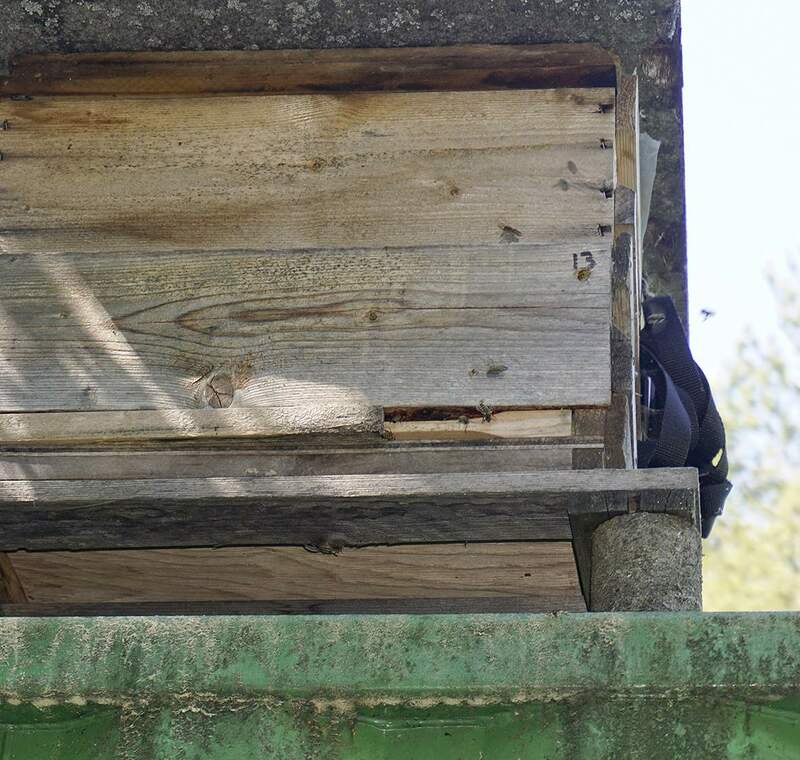 Friday afternoon, 23 May, I just happened to be present at the beginning of a prime swarm cast from my Warré Box Hive Project. (http://www.eccentricbeekeeper.com/hives/boxhive.html ) The existing hive has double deep frames with small cell comb with cells ranging from 4.7 mm to 5.0 mm. 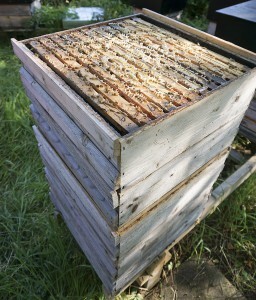 I placed the swarm in a second Warré sized hive with eight of my double deep foundationless frames. It will be interesting to measure the comb drawn by the swarm in the new hive once it is firm enough to handle. 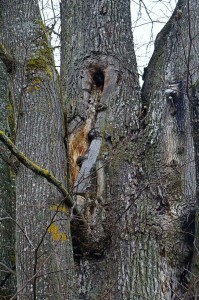 The swarm was hived at the peak of a strong black locust, Robinia pseudoacacia, nectar flow. 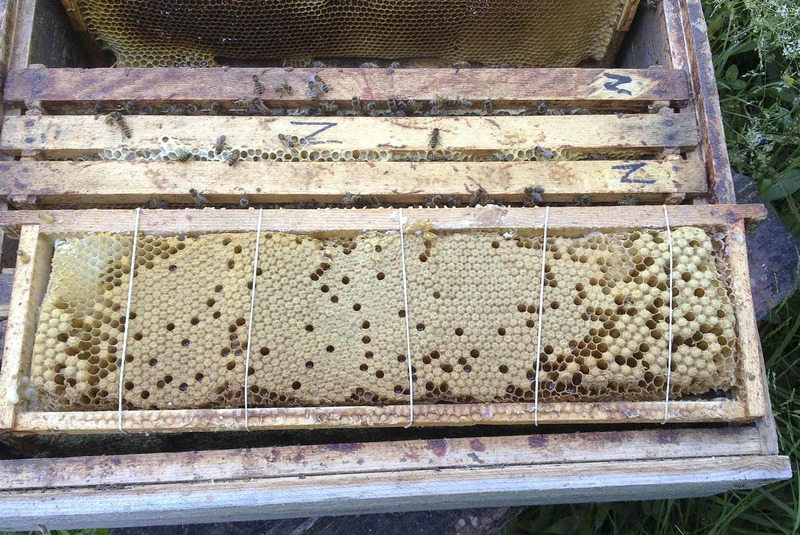 When I checked the colony on Tuesday, 27 May, the bees had drawn comb in all eight frames down to the skewer/spale located eight inches from the top. I checked the colony in the morning 31 May. 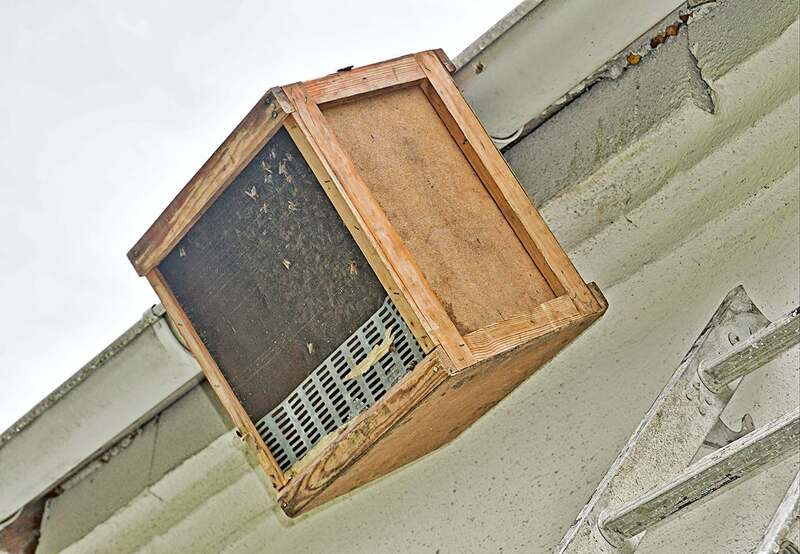 There was one frame of comb on the outside of the box that had a partial collapse. I think it was due to the rapid drawing of new comb, the weight of the abundant stored nectar and the 30° C afternoons. I observed the queen. She is in good condition and laying eggs. The colony is not drawing comb as fast now as it did during the first four days which could be due to the queens laying and the added labor of pollen collection and brood rearing. However, I am still very pleased with the colony’s progress. 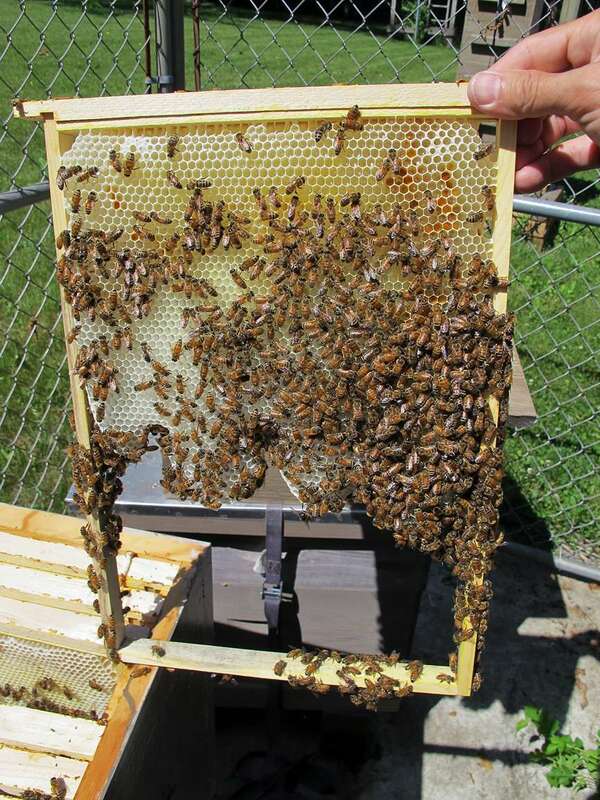 Nine days following the prime swarm the original colony has twice attempted an afterswarm. The first clustered on a tree branch forty feet up for about thirty minutes before returning to the hive. 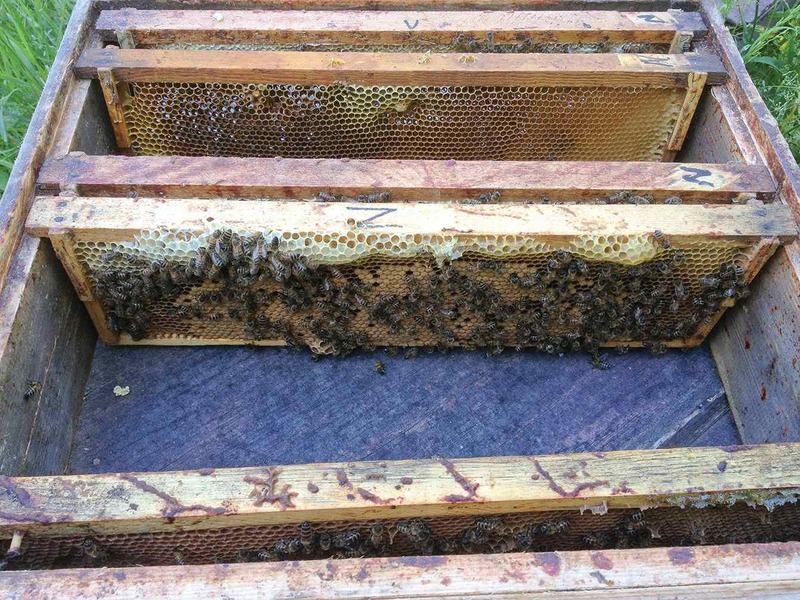 The next day the second filled the air and clustered on the front of the hive before reentering. 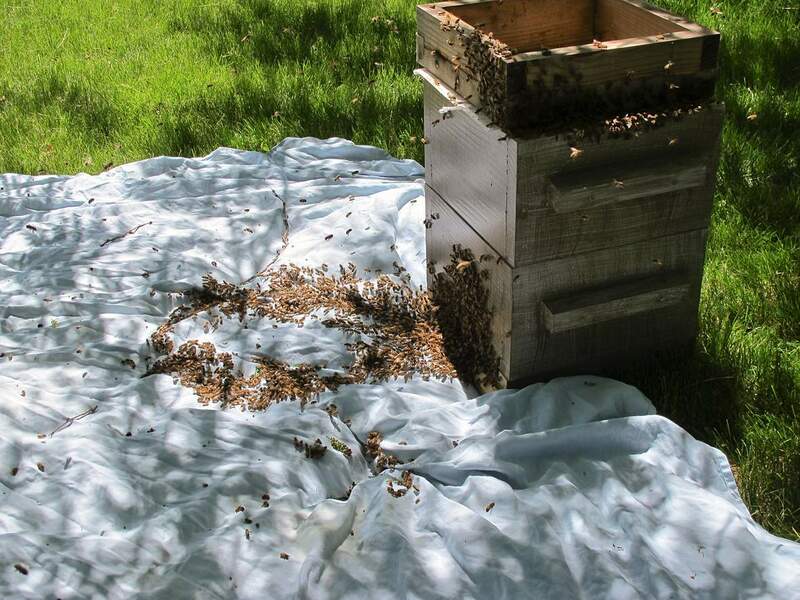 I returned home from my out yard 5 June with 50 pounds of capped tulip poplar/black locust honey just in time to attend a third afterswarm. This time they were more organized than the previous attempts. 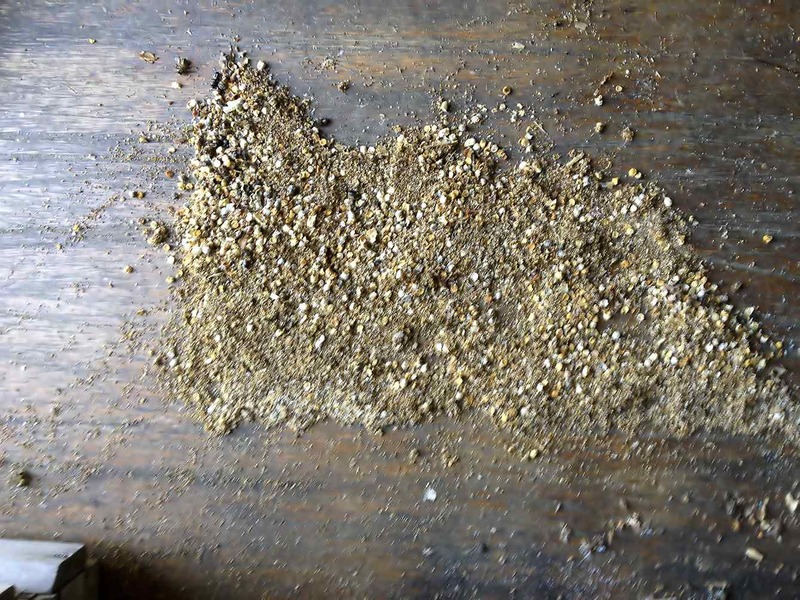 I was able to place them in a hive. 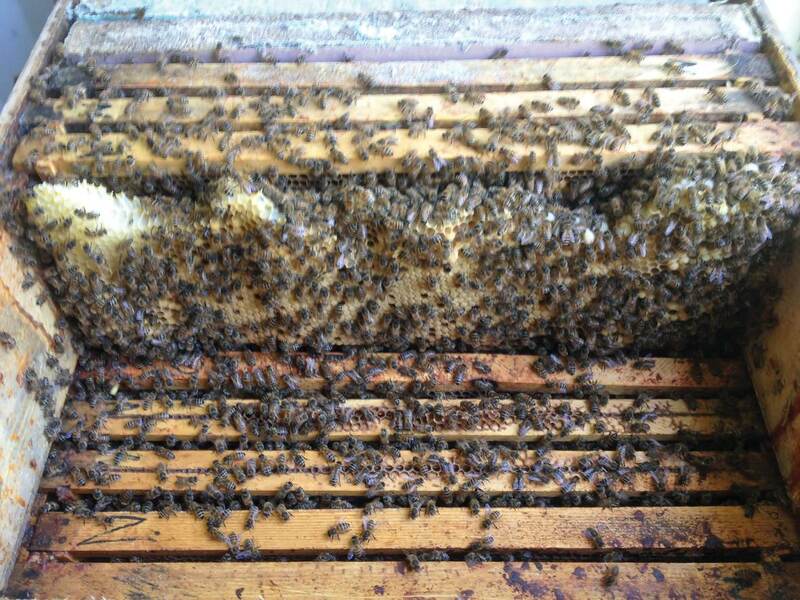 I was able to cut several nice sections of comb honey from the tulip popla/ black locust honey. The rest I am crushing and straining.